Home SharperIron Forums Principles & Consequences Fundamentalism & Evangelicalism "We [fundamentalists] should write more"
"We [fundamentalists] should write more"
have settled out over the last decade or so, now we (Fundamentalists) have the time and qualified writers to produce more. Would BJU benefit by hiring professors who got their Ph.D.s from conservative evangelical seminaries like Dallas or Trinity, thus raising their profile? I don't think the goal should be to raise their profile but more, as Ward's post suggests, to just do the best possible work they can do... and more of it, for the benefit of all. It's likely that high quality work of enduring influence and also larger quantity would have the effect of some profile-raising. But IMO, it never works out well to make that particular result the goal. I understand Paul Hartog just released an excellent book refuting Bauer. That was nice to see. as an example of the kind of fundamentalist scholarship the author is looking for. Remember the debate and discussion several years ago about Randy Jaeggli's (BJU) The Christian and Drinking: A Biblical perspective on moderation and abstinence. BJU Press withdrew the book and had it reissued after the conclusions were adjusted. "Recently, however, I came across a book published by Bob Jones University Press: The Christian and Drinking by Dr. Randy Jaeggli, a professor of Old Testament at Bob Jones Seminary"
Dr. Burggraff has been saying this for a loooong time. We need to write more, we need to write more. I'd like to see more good-quality fundamentalist writing too, but the example of this book shows why that is not likely to happen. Even though the author came to a conclusion that would agree with most of fundamentalism, the book was pilloried for not being in lockstep with fundamentalist conclusions on every point on this issue. Apparently, trying to handle all the scripture accurately (as Don's review thought the author did) is not good enough if "fundamentalism" has concluded differently. Reading conservative evangelical authors is not without its pitfalls, but it seems to me that they are not as beholden to "group think," and hence, although there is a lot out there not worth reading, there is plenty that will be worth the time and the effort. I figure it will take another 20 years before fundamentalist "culture" has subsided enough for authors to be able to write successfully. Of course, then the question will be whether what exists at that time is still a fundamentalism worth saving. Dave, you have a point but the Jaeggli book controversy was, what, 7 or 8 yrs ago? Much has changed since then. Right now, IMO, the whole evangelical/fundamentalist landscape is like dunes blowing around in the dessert--only, where the analogy ends, it will all settled down again eventually. There's just no telling what the stable geography will be. The day is pretty much here when those who believe in biblical sexual ethics, biblical creation, and solid biblical exposition, automatically have more in common (whether 'fundamentalist' or 'evangelical') than many within in the old 'camps' did with eachother back in the day. So, to return to the point, I think more freedom of thought in publishing is well on it's way and sure to continue to increase (in many topic areas, while decreasing in others--there are always boundaries). Plus, while a university publishing arm may have some limits on what it can comfortably (or even uncomfortably) publish, there is no reason why fundamentalists can't publish through other channels instead/in addition. It strikes me that I can find any number of fundamentalist authors that are writing a lot--even David Hyles is able to get published, no? You can find all kinds of biographies, books about the cultural taboo of the century, and such. I've got a few of them on my shelves, and it's clear that many authors are pretty prolific. What is all too often absent, however, is scholarly writing where the author discerns between valid arguments and invalid, between useful information and nonsense, and the like. And to bring in other things we're discussing today, a lot of it has to do with (a) do we hold our pastor/professor accountable to the truth when he teaches or preaches and (b) do we provide the secure place from whence a scholar can do his work? If we tolerate nonsense analogies (like the ludicrous claim of the bridge operator crushing his son to save people on the train) and then fire the pastor as soon as numbers don't match what we want, we're going to get ludicrous analogies and pastors looking over their shoulders instead of being men of the Word. Really liked Aaron's comment, and it reminded me of a "pyramid" of theology that a former pastor of mine provided as a quick guide to doing theology. More or less, he claimed that a man of the word ought to start with basic exegesis, go into his hermeneutics, then OT/NT theology, then Biblical and systematic theology, and then....and only then.....practical theology. He made the claim that a tragedy of modern "fundagelicalism" lies in that all too often, we want to jump to practical theology without even doing the basic exegetical work to understand what a passage is actually saying. Probably a big obstacle to getting a theologically richer pulpit and ivory tower is our history--back around 1900, we lost the seminaries, and with that gained the suspicion that anyone looking too deeply into books, especially into the nature of ancient books, could only be looking to discredit them. There is a cultural obstacle that, per Dave Barnhart's comment, needs to be overcome, or fundamentalism probably will die out in the next few decades. And dare I say it; rightly so. Jumping from a single word in the text to a personal application may be deeply embedded in our culture, but it is a huge violation of Sola Scriptura and the first fundamental, the inerrancy of Scripture. Apparently the revised Jaeggli book has been published, I might have even known that, but I forgot. The rest of my comment above stands, however. Agree with the Decker recommendation. His comprehensive Greek grammar was recently published posthumously. Decker was known within conservative evangelical circles as a New Testament scholar, and he made significant contributions in the area of Greek verbal aspect. Who within fundamentalist scholarship has earned a similar reputation? Emphasis mine. Normally I'm not a spelling nazi, but I admit when I read this it made me think of swirls of cinnamon blowing around on top of a big bowl of apple crisp! Yes, i probably overstated. Certainly fundamental writers can self-publish, or publish through a non-fundamental organization, but they would still need to have enough sales to at least cover the time and expenses. And I would agree that there are some boundaries. Those will move a little, but within orthodoxy there should be a fair amount of room for differences. In the fundamentalism of the not-too-distant past, any differences from the party line were at least suspect. You are probably right that as the world more and more opposes Christianity in any form, the internal battlegrounds will change. There are important differences between fundamentalism and broader evangelicalism, but the world mostly sees those two groups as the same, and as the opposition from without grows, we'll probably have less time or energy for internal strife. Paul Hartog is earning such a reputation. He has been published by Oxford University Press. Look for more of his writings in the near future. Practical works like: pastoring, missions, et cetera. If one's goal is a place at the "Cambridge or Oxford or Harvard or Yale or Princeton or Duke" table, to quote Mark Ward quoting Andy Naselli, then one must surrender Sola Scriptura and agree to the ultimacy of human reason. Our scholarship should begin with the Triune God of the Bible and further His directive to subdue and exercise dominion over this earth ... for His approval and to His Glory. Well researched, reasoned, and written works will edify the Church and testify to the World. From academia our goal should be to draw opposition or indifference, not from flaws in our scholarship, but because of the world view which underlies it. Might be good to see such works. Personally speaking here, I left a church in part because they did not think it was significant that one of the teachers whose works they were using was greeting T.D. Jakes (a modalist) as a brother. Since you can't even understand Genesis 1 without a good understanding of the Trinity--just try to parse out "And God said, let us make man in our own image" properly with a modalist doctrine--this is a big deal. Or, for that matter, Psalm 110;1, or any of the times Jesus speaks of His Father, or prays to Him, or any number of other places in Scripture where this doctrine is necessary to understand the text correctly. On a side note, Jim illustrates the pit many fundamentalists have fallen into by noting that "fundamentalism is a subset of evangelicalism." True, but historically, it was the evangelicals who broke off--"we" are the distinct minority in part because we tend to jump into practical theology before wrestling with Biblical theology and systematics. Top represents my view. As an aside, when one studies at a fundamentalist school, most of the textbooks are sourced by conservative evangelicals. Thirty some years ago the seminary I was attending used Hodge's Systematic Theology. (Turretin wasn't available.) It was suggested that a highly qualified and well-respected member of the faculty write a systematic theology. Over the years the fundamentalist publisher returned sections of his manuscript for revision. Their clientele would only buy such a book if it was adamantly pre-mill, pre-trib, and dispensational. It also had to address doctrines like election in such a way that anti-Calvinists would still buy the book. At one point it was even suggested that the doctrine of election be omitted because it was devisive. Finally, consider the market for such books. Are there enough potential purchasers to make it financially feasible? And do those authors have thick enough skins to endure the barbs of the professional critics in our ranks? And do those authors have thick enough skins to endure the barbs of the professional critics in our ranks? It's the publishers that need the guts to stand up to the wackos. If you're willing to look beyond fundamental Baptist circles to larger fundamentalist circles, then you'll have to take into account men like James White (Reformed Baptist), etc. There aren't a lot of works, but they're there. They're also growing. All of the texts above were published within the past 10 years, with the exception of Promise Unfulfilled (2004). I think the fortress mindset is eroding, but folks with more perspective than me can speak to that issue. I haven't read (either version of) Jaeggli's book, but if the first version was in fact "solidly Biblical yet was pulled because it offended a small group" [as per Ron Bean above], then that is a major problem. Whether as author or publisher, if fundamentalism is somehow compelled to "toe the party line" as opposed to rightly & properly exegeting God's word, then fundamentalism's priorities are tragically misplaced. When I started building my library 30 years ago, I began with commentaries, using Spurgeon's "Commenting and Commentaries" as a guide. I supplemented with Lenski and Hendrickson/Kistemaker. When I was looking for other books I discovered John MacArthur and was glad that his books were free. His books were extremely beneficial but many of my friends criticized the books and questioned whether I was a true separatist. (I'm glad JM ignored them.) Meanwhile the most memorable fundamentalist books were on music and new evangelicalism. My question: What topics should we be addressing and will they be better or as good as what is already available? Meanwhile the most memorable fundamentalist books were on music and new evangelism. 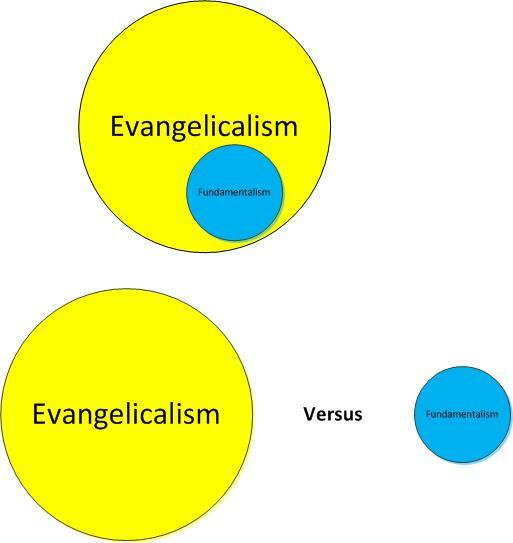 "new evangelism" or "new evangelicalism"? Let's talk about book availability for a moment. Perhaps I'm an anomaly or perhaps this is strictly generational, but I don't purchase books directly from publishers ever. In fact, if a book is not available on the Kindle Store, to be delivered to my house in two days via Amazon Prime, available as a PDF (free or paid), or ready for download to my Logos library, the likelihood of my reading it is pretty close to zero. One problem, then, that fundamentalist authors have is the distribution and availability of their work. When a worthwhile book is published, in some cases, it's hard to get ahold of a copy easily and reasonably. For example, when I enter a "Kevin Bauder" search on Amazon, I find his book Baptist Distinctives and New Testament Church Order available only from a third party seller. When I look for One in Hope & Doctrine I find the same situation; in fact, it's a $30 purchase + $4 shipping from Faith bookstore. That said, the book on the Spectrum of Evangelicalism (to which he contributed) and the recent Conservative Christian Declaration are both available on the Kindle store. I realize that the latter was more or less self-published and that the former was published by a major publishing house. However, I wonder how many like me have read the books available for Kindle but have little motivation to order the paper books? Is this is an issue for others? If so, is it an issue of strategy, resources, flexibility, budgets, or a combination of these things? No matter the reason, this is frustrating to readers and probably a major factor that what is published does not receive a wider reading. In my estimation, this is sad, as I believe that fundamentalist authors have valuable contributions to make in all areas of theology, not simply in the realm of fundamentalist convictions on separation/partnerships. However, that said, even their writings on the separation topic are valuable not only for those like me, who ascribe to biblical separation principles and to some of their historic fundamentalist applications, but also to those within broader evangelicalism who need to grapple with the best version of these fundamentalist arguments (read blogs from Justin Taylor all the way to Roger Olson, and you will see that they know about, are somewhat interested in, and have read fundamentalists!). At $250, I think I'll pass on buying that book. TylerR mentioned McCune's Systematic Theology. I bought the first volume and tried to make my way through it. Sorry, but the level of scholarship presented is not on par with someone like Erickson, Grudem, or even Ryrie. The writing style is awkward, and the font is crazy small. Fundamentalists need to do better than that if they want broader readership. However, when I tried to use it alongside my NAC and EBC commentaries to teach through 1 Thessalonians, I found it lacking. It's more of a popular or devotional commentary. Where are the exegetical commentaries written by fundamentalists?